As the 1950s rolled in, Alfred Hitchcock needed a change of pace. And a hit. 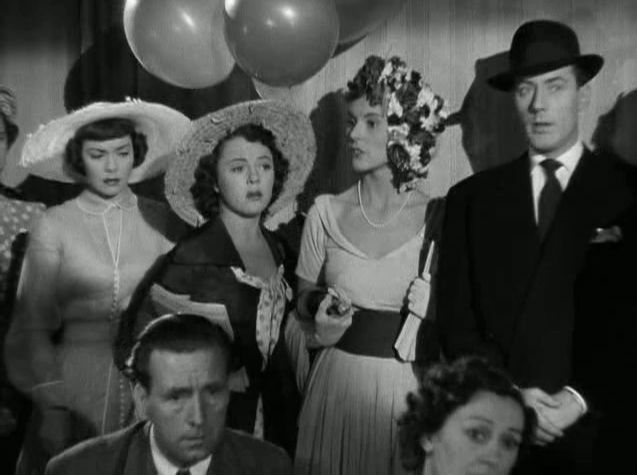 Stage Fright was certainly different: much lighter, for the most part, than most of his films and a return to his home turf, with an almost entirely British cast. But it was also a resounding flop—his fourth in a row, as filmgoers craved his more conventional thrillers and seemed impatient with movies that were harder to categorize, even if they were fabulous. The previous decade had featured a string of classics that most directors would give their fortunes and families for: Rebecca, Suspicion, Saboteur, Lifeboat, Shadow of a Doubt, Notorious, and the criminally underrated Mr. and Mrs. Smith and Foreign Correspondent. 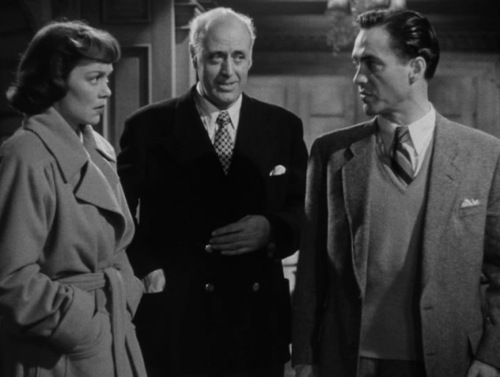 In their first collaboration, Hitchcock had mostly managed to keep Rebecca out of the clammy clutches of David O. Selznick. (According to director/film historian Peter Bogdanovich, Hitchcock recalled that as a climax, the producer wanted the smoke from the chimney to curl into the letter R. “Can you imagine?” he shuddered, even decades later.) But in their other two films together—Spellbound in 1945 and The Paradine Case in 1947—Selznick, who never met a thumpingly obvious flourish he didn’t like, had the gears more firmly in his grasp, with predictable results. 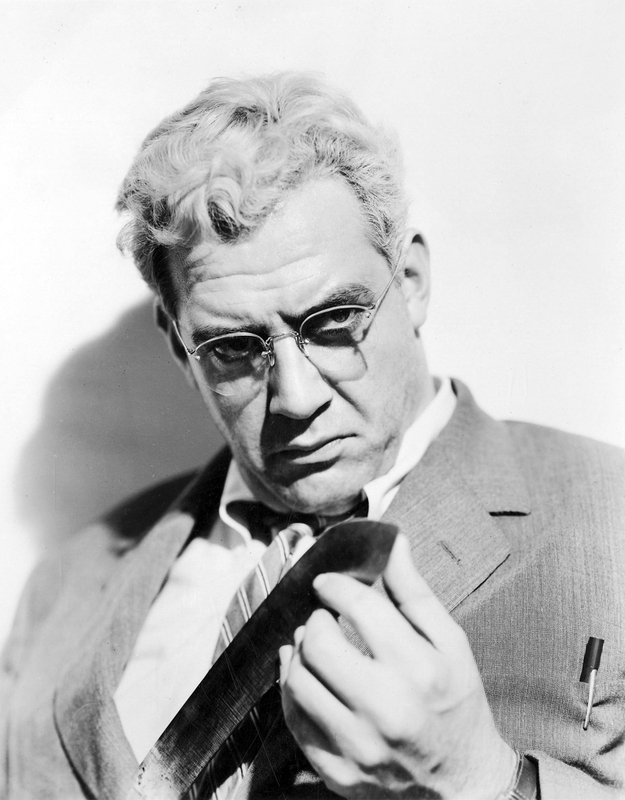 Hitchcock grew to loathe Selznick so much that he was still seething seven years after they parted. Does the uber-creepy wife-beheader in Rear Window remind you of anyone? Smarting from his servitude with Selznick, Hitchcock cut loose with his own production company, Transatlantic Pictures, closing out the decade with the experimental Rope, which played with extended takes and fluid camera movements, and Under Capricorn, which used many of the same techniques, though less boldly. But neither made much headway with fans or critics, and together, the two financial failures sank his fledgling firm. Still, Hitchcock had reached a turning point: for the rest of his life, he would produce his own movies, under the auspices of larger studios. Eager for a break from Hollywood, the director talked Warner Bros. into letting him make Stage Fright across the Atlantic. 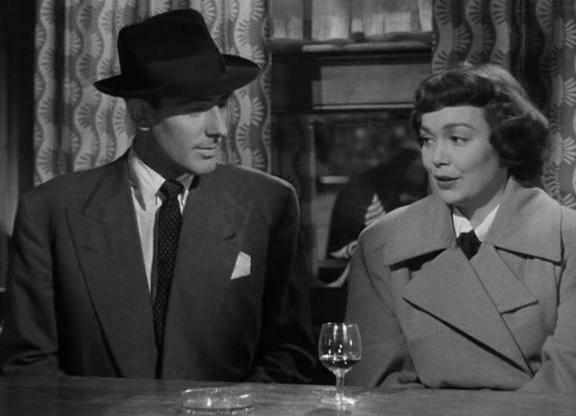 Shrewdly, he took along one of the studio’s biggest new stars, Jane Wyman—fresh off her Oscar win for Johnny Belinda—in the hope of boosting the box office. 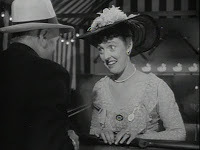 Wyman plays Eve Gill, an aspiring actress at the Royal Academy of Dramatic Art (where Hitchcock’s daughter Patricia, who made her film debut as Eve’s friend “Chubby” Bannister, was studying at the time). 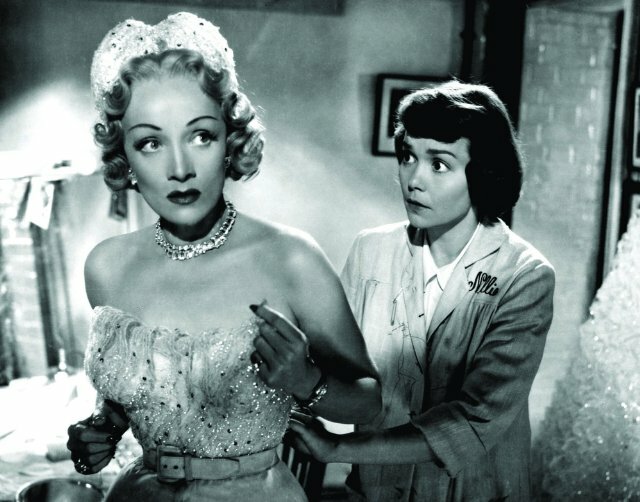 Eve’s in love with Jonathan Cooper (Richard Todd), a young actor who’s having a secret affair with Charlotte Inwood (Marlene Dietrich), a flamboyant stage star. 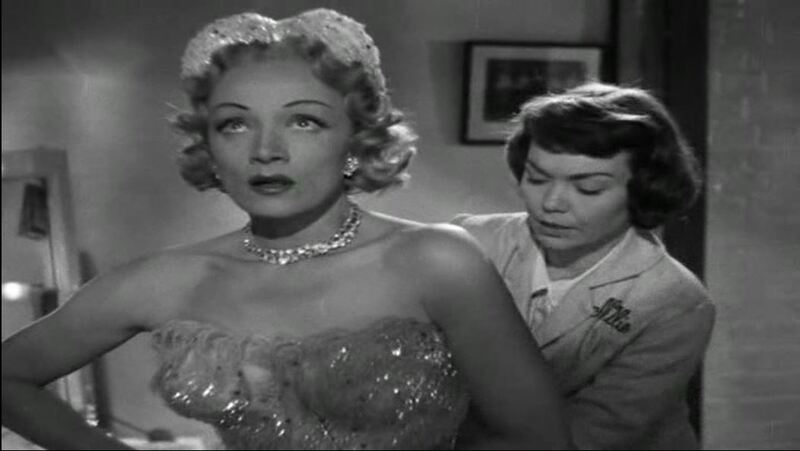 As the film opens, Jonathan breathlessly bursts in on Eve’s rehearsal and begs for help; we learn, via his flashback, that Charlotte came to see him after killing her husband and asked him to hide her bloodstained dress, and that when he went back to fetch her a change of clothes, he was spotted by Charlotte’s dresser, Nellie (Kay Walsh). And now he’s on the run from the police. Eve spirits him off to the coastal cottage of her father, the Commodore (Alastair Sim), who notices that the blood seems to have been deliberately smeared on the dress. He warns Jonathan that Charlotte may be trying to frame him. Angry at the accusation against his lover, Jonathan throws the crucial evidence into the fireplace. And Eve is knocked a bit backward by his intensity. The romantic sparks between the wide-eyed Eve and the shyly wry detective are clear from the moment he waves a brandy under her nose. During one scene in a taxicab, they stammer and stare and swoon until you’re practically screaming at the screen, “Oh for God’s sake, just kiss!” So now, Eve has to lie to the man she’s falling in love with to save the one she’s pretty much gotten over. Eve catches up with Jonathan in the trenches of the theater, and once they’re hidden away there, he tells her that Charlotte goaded him into killing her husband, and he’s the one who smeared the blood on her dress. He also confides his cunning plan to get away with it: kill Eve for no reason, to shore up an insanity defense. Suddenly things get much more Hitchcockian: victim and killer are thrown into sharp, shadowy relief, and it almost becomes a different film—in keeping with the sense that everything that has gone on before was mere artifice and now we, like Eve, are face to face with the dark and dangerous reality. After several excruciating minutes, Smith and the police arrive and flush out the killer, who, attempting to flee, is caught and crushed under the stage’s (ironically named) safety curtain. 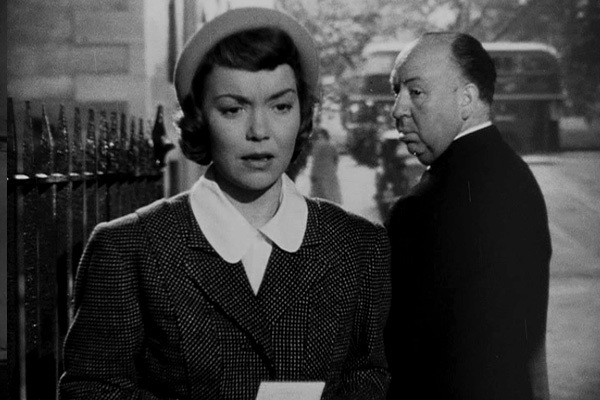 Critics and audiences came at Hitchcock with everything but pitchforks for the “lying flashbacks” from an unreliable narrator; the director countered that this was simply one character’s version of events and needn’t have been taken as gospel. But he later called it one of the biggest missteps of his long career. I like his first take better. Over the years, moviegoers had grown to care deeply for Hitchcock’s wrongfully accused victims, and I understand how they might have felt betrayed. But it’s not a director’s job to spoon-feed people the same formula in film after film. I loved the surprise—and that, in a movie rife with deception, we were as fooled as Eve was. It put us right there with her in that dark corner, deepening our sympathy and adding another layer of emotion to a finale that’s as creepy and suspenseful as almost anything Hitchcock ever put on the screen. And Dietrich and Wyman play beautifully off each other as the glam goddess and the modest maid she takes under her wing, somewhat mirroring their relationship offscreen, which got off to a shaky start but ended with Dietrich insisting on retakes when she felt Wyman wasn’t lit properly. All in all, Stage Fright is Hitchcock’s most fearfully underrated film. Tagged: alastair sim, alfred hitchcock, david o. selznick, foreign correspondent, jane wyman, kay walsh, lifeboat, marlene dietrich, mr. and mrs. smith, notorious, richard todd, rope, shadow of a doubt, stage fright, suspicion, the paradine case, under capricorn, warner bros.
Agree! Underrated! Terrific commentary and overview on a movie I must now watch again soon. Thanks for submitting this to the blogathon! The Lili Von Shtupp connection reminder is glorious icing! Alistair Sim makes this film for me. 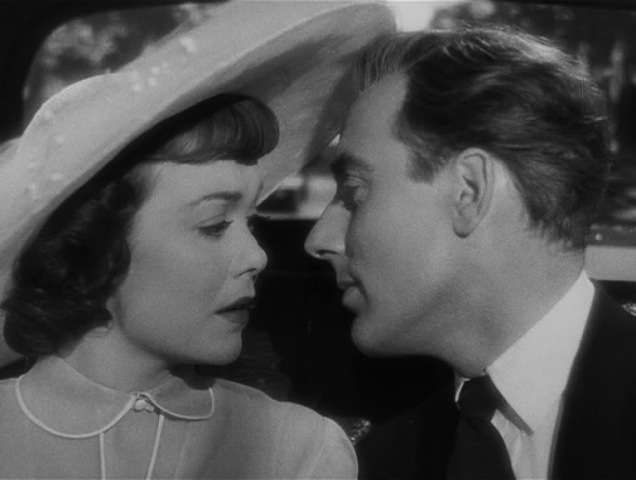 He’s just wonderful as Jane Wyman’s father. Believe it or not I haven’t seen Stage Fright so I skipped the spoilers and focused on the remained of your article. 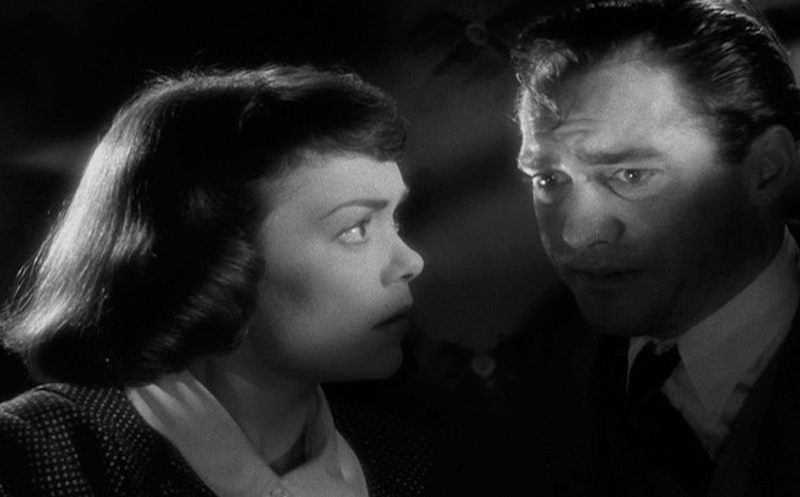 Oddly enough, we both talked about Hitch and Selznick in our Blogathon posts. I knew how controlling Selznick could be and how acrimonious the relationship became, but had not made the connection to Rear Window. That s brilliant! I’ll have to seek this out soon as I tend to prefer Hitch’s British work over a lot of his Hollywood pictures (and I know some would call that sacrilege). Fabulous look at a fabulous film. “Stage Fright” has been a favourite in this family for ages. I would have enjoyed spending another adventure with the Commodore and his daughter. 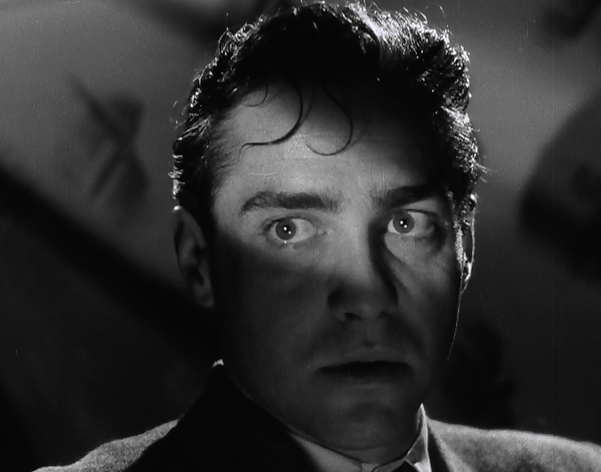 And Richard Todd makes me swoon. Dietrich is indeed beyond fabulous. I adore her in this movie. And, like you said, she and Wyman play well off each other. Speaking of Wyman, I cannot tell you how shocked – shocked! – I was to learn the truth about her character the first time I saw this movie. Brilliant! Great post! I think this film deserves way more attention than it receives. Nice writeup! I adore Stage Fright. 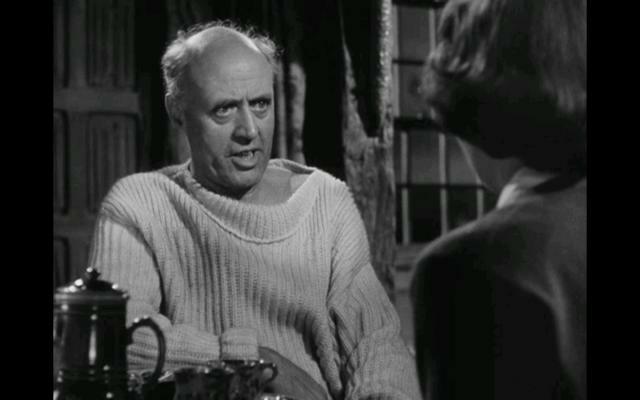 Alastair Sim and his accordion are the best. 🙂 One of my favorite performances of all time. As for Dietrich, well, I’d rather watch Kahn as Dietrich than Dietrich as herself! The song and the rendition just don’t do much for me. Porter must have had an off day. 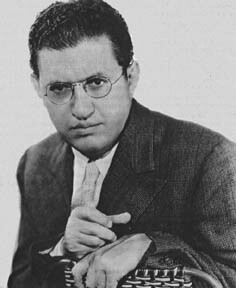 I never knew that about Thorwald looking like Selznick! Hitch, you little stinker! Love the comparison made of Burr’s Rear Window murderer to Selznick. Wonder too, about Stage Fright’s lack of success-wondering what came out at the same time as it did? So many good elements-loved the hushed speaking tones-Marlene’s nonchalance and of course Alistair.